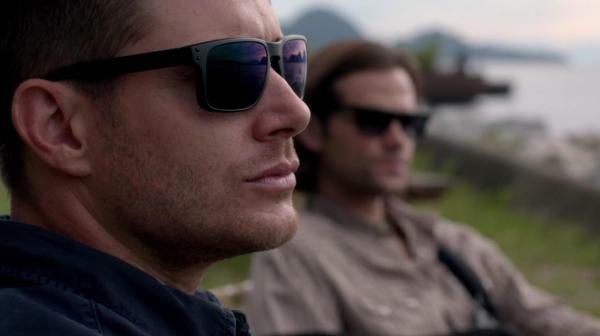 In the latest episode of Supernatural, a former character returned, the boys had some heart-to-heart talks, and the case was back to old school Winchester style. But for all the well-trodden ups and down, it felt more like we were just going through the motions. Can we get back into the groove or have we skipped out of sync? We got an opening in true Supernatural form, with a pretty girl and a bloodbath. And while I did enjoy the music overlay, “Werewolves of London,” as well as the mystery of who did the killing, the way the plot played out felt a bit too expected. It’s never a good sign when I can foretell the ending just a few minutes in. The only highlights were the glimpses at the boys, but they weren’t enough to bring the episode up to the stellar levels of previous ones. The episode saw the return of Kate, originally introduced on the episode “Bitten.” I’ll admit that I never liked the original episode, and by extension Kate, so there was a higher bar that needed to be reached in order to make me enjoy her second appearance. Unfortunately, she didn’t quite reach those heights. Yes, the tragedy over her sister’s health and subsequent turning tugged at the heart-strings, but it was as if we were reading from a play book. Girl tries to save loved one by turning her into a monster, loved one cannot rise above her base monster nature, girl has to kill loved one. Kate trying to be good and not be the monster that she was meant to be was her only saving grace, and the only reason the boys were okay with letting her go. The door is open for her to return, but I’m not sure if I’m ready for that. Onward to more important matters, the boys. 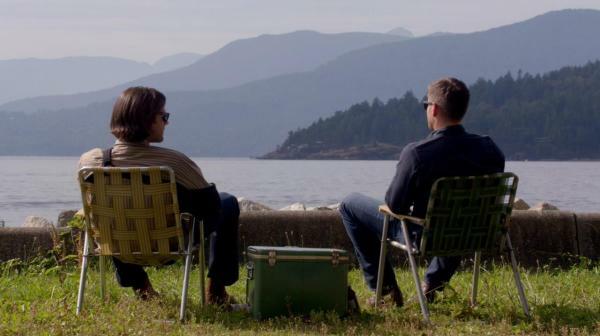 Dean and Sam decided to take some time off, and were in full relaxation mode when the episode began. It was nice to see them kick back and try to recover from all the overwhelming things that have been happening to them lately. 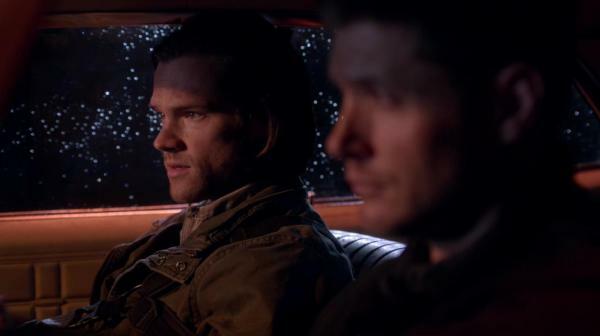 However, in true Winchester form, they can’t stay off the road when a hunt is calling. Or more exactly, Dean cannot stay away. He needs to hunt, he needs to do the job, because it’s where he can focus. I understand Dean’s need to get back into it, since he’s shown that before. Do the job, take your mind off the issues. It’s a distraction, but it’s also a way for him to cope. The problem is that he never really confronts the issue and instead keeps burying it deeper. This time around, he turns the analysis back on Sam, in hopes that he can deflect. It doesn’t work as well as he wanted it to. 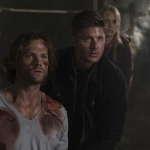 Dean wants to confront the issues of Sam crossing the line in his pursuit of his brother, and Sam wants to talk about how unsteady Dean’s mental state might be when dealing with the whole post-demon thing. 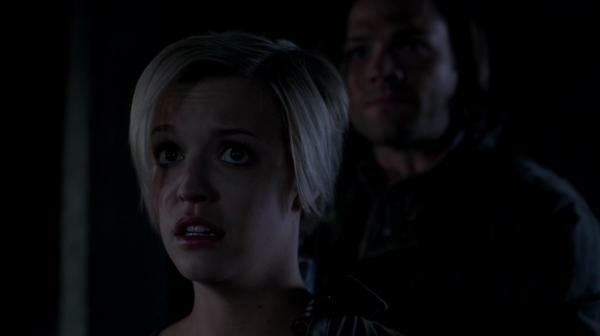 In true Winchester form, they ignore everything until they do the unconscious acknowledgments. Brush it under the rug and move on. It’s the way they’ve learned to deal. My questions from the Winchester discussions center around Dean’s mental state. He’s never been in what I would define as a healthy state of mind. Ever since he was a child, denied a true childhood, he was thrown into an adult world with adult responsibilities. 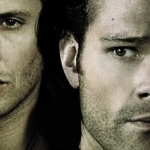 His whole life has centered around taking care of Sam — saving the world but, more importantly, saving his brother. And when that protection is put in danger, he goes above and beyond to rectify the situation. This time around, even if he tried to prod Sam about teetering on the edge of darkness, in a way he was poking at his own failure because he pushed Sam to that edge. I’m concerned about how he’s going to deal with this long-term. Will he eventually crack and do something dangerous? Or will he confront the darkness inside himself and move past it? I don’t know the answer to that, but I do hope the journey is more interesting than the case was this episode.